Your article “A Trip to Scientology’s Underground…” contains anti-religious bigotry against the Church of Scientology. When writing about Bruce Springsteen, George Clooney or Mark Wahlberg, do you go out of your way to disparage their religion with snarky comments because each actor was raised a Catholic? Would you ridicule the late Muhammad Ali’s Islamic faith? Or Mahatma Gandhi’s beliefs, because they differ from yours? Religious tolerance and mutual respect is a better way for you to conduct yourself. Gratuitous, inflammatory comments like the ones you published do nothing more than show arrogance toward people of faith. We respect your right to freedom of speech and the press. 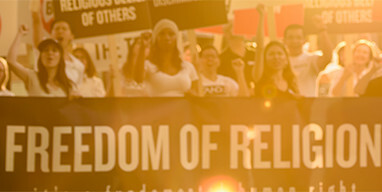 You too should respect the freedom of religion so many cherish. Religious bigotry of any kind has no place in our society.